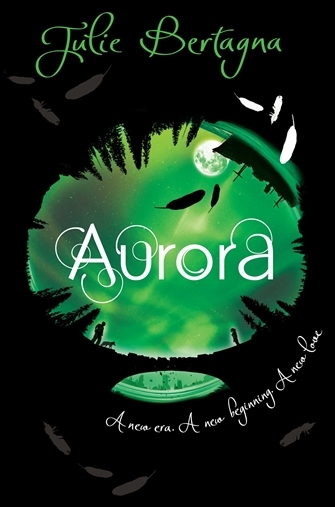 Julie Bertagna is a journalist and author of numerous books for children and adults, including the YA trilogy beginning with Exodus (2002), continuing with Zenith (2007), and concluding with Aurora (2011), set in a drowning world at the start of the 22nd century. Tobias Buckell has written science fiction novels and short stories, several of which have ecological themes (some in collaboration with other authors), including the forthcoming near-future thriller Arctic Rising. Maggie Gee is a writer of literary novels and short stories, several of which touch on or address climate change, including Light Years (1985), Where Are The Snows (1990, probably one of the first "mainstream"-published books to specifically tackle climate change in detail), The Ice People (1998), and The Flood (2004). 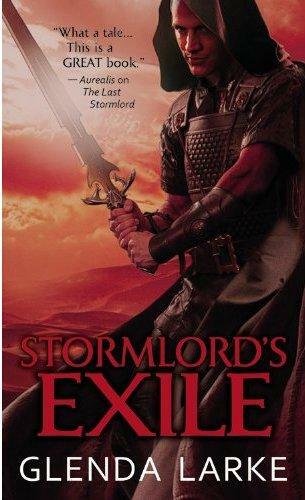 Glenda Larke is an enviromentalist and the author of several trilogies of secondary-world fantasy novels with ecological themes, the most recent of which is the Watergivers trilogy comprising The Last Stormlord (2009), Stormlord Rising (2010), and Stormlord's Exile (2011). Kim Stanley Robinson is the author of numerous science fiction novels and stories with ecological themes, in particular the Mars trilogy (Red Mars , Green Mars , and Blue Mars ) and the near-future Science in the Capital trilogy (Forty Signs of Rain , Fifty Degrees Below , and Sixty Days and Counting ). Vandana Singh is an environmentalist, physicist, and the author of numerous short stories including the climate change story "Indra's Web" (2011). 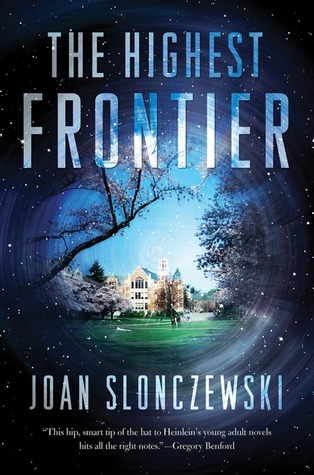 Joan Slonczewski is a microbiologist and author of several science fiction novels with biological/ecological themes, including A Door Into Ocean (1986), and The Highest Frontier (2011), a near-future novel in which climate change is a significant factor. She blogs at Ultraphyte. To start with, I'd like to ask why you decided to write about climate change in your fiction. To what extent did your stories grow out of an existing interest? Was there a particular moment of inspiration? Did you make a deliberately (for want of a better phrase) activist choice? And do you consider any of your work to be "about" climate change in a direct sense? Joan Slonczewski: I write directly about climate change, with great entertainment and no easy answers. A story helps readers see what climate change will really do, in ways that mean something to them. For instance, in my book The Highest Frontier, set a hundred years from now, Miami is underwater and their citizens have fled to Cuba. Some readers find this upsetting. A petroleum engineer from Florida wrote me to object that if Miami were underwater, Cuba would be too. I wrote back to correct him. If it took my novel to educate a petroleum engineer about geology, then it's a good thing. Glenda Larke: I'm the product of a water-poor land. I was brought up on an Australian farm where drinking water was untreated rainwater from the roof, and we bathed in untreated water pumped up from the river on our property. One of my earliest memories is emptying the rainwater tank because a rat had drowned in it. For the next two months every drop of potable water had to be carted from a neighbouring property. Another early memory is watching my father disappear into the smoke and flames of a bushfire to reach the river so he could pump up more water to save our house. Conserving water was definitely a theme of my childhood. In my first books, any mention of any environmental theme was always indirect, but I knew that one day I'd have to write a book that tackled the question of climate change, specifically how it affects water conservation. The problem was: how to write a fantasy portraying another world, yet still be a book about a very real problem of climate and human behaviour in our very real world? Tobias Buckell: As someone who writes science fiction, I'm interested in the future. And it is one of those looming questions about the somewhat near future that I think is often an elephant in the room. I know a lot of people duck writing near future fiction because there are so many risks. What if you're wrong, or get a detail wrong? Things change so quickly. What about black swan events—things that come out of left field? For example, most science fiction prior to the microchip didn't really predict that everything would have a computer in it. But I've often tried to point out that I think people need to stop worrying about being "predictive" and enjoy being "extrapolative." Extrapolative means going "what if" and running with it. Most fiction that I've enjoyed has a conflict at its heart. And when you look at climate change's effects and dangers, there is a tremendous amount of conflict. Just mentioning it in some circles brings conflict. And there is always potential for an artist to gain interesting, shiny things out of conflict. For myself, it really started to gel with conversations I had with Karl Schroeder. I expressed a feeling that I wasn't a good enough writer yet to tackle the rigorous extrapolation I felt I owed a near future novel, but I was also just really frustrated to not see books tackling ecological concerns with a sense of zest and élan. Not too long after that, I also met Paolo Bacigalupi, as his short fiction was garnering awards and getting attention. We had epic conversations about wind power (I grew up on a boat) and the seed began to germinate. When Karl and I collaborated on a story together, we decided to posit a future with no Arctic ice cap. Very science fictional in 2006. We used that "what if" because it sounded pretty far out there. By the time our story came out some cutting edge scientists were predicting that. 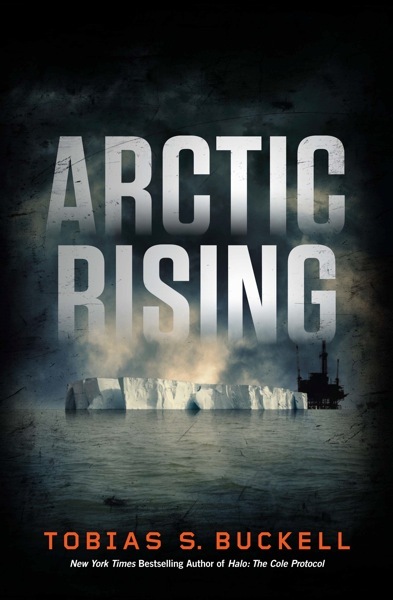 By the time I started to write Arctic Rising, my latest book, the U.S. Navy was planning for and predicting that. That experience sort of lit up my interest in doing more near future stuff. Just out of a desire to see it come out from someone. Maggie Gee: I wrote about climate change first in a 1985 novel called Light Years, which is structured around seasonal change—12 sections, one for each month, 52 chapters—but which also frames the text with descriptions of the earth in its context in the universe. Reading about Venus for research, it occurred to me that earth might become like that if the global warming I had read about in a popular-science journal became reality. Then quite soon, I started noticing things—flowers in my garden coming out too soon, the kind of thing neighbours talk about. Where Are the Snows (1990), set in the early 21st century, tried to link the roaring consumerism and selfishness of the 1980s with the rapid global warming I envisaged. 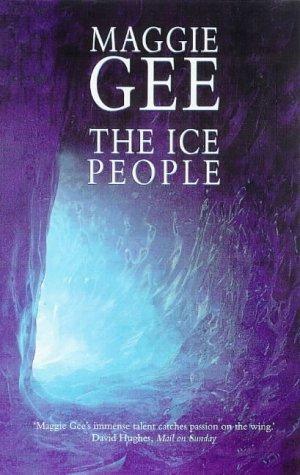 Two others of my books are "about" global warming—The Ice People (1998) shows climate change going into reverse in northern Europe, which becomes colder, so that migration reverses, with rich white northerners trying to get into Africa—surprisingly (! ), Africans aren't pleased to see us—and The Flood (2004) anticipated the great Indonesian tsunami of Boxing Day 2004. I never write "one issue" books—The Flood is probably more directly about the Iraq war, which was looming as I wrote the first draft. Nor do I write consciously as an activist: that would make for bad art, to my mind. These things infect my imagination, and then the stories start to dream themselves. And as I say, all these novels are also "about" other things—most notably, individual people—as I try to understand their lives, their hopes, their striving, their mistakes in the context of the society they live in, and the geo-political reality we all inhabit. Kim Stanley Robinson: My Mars books were about changing the climate there on purpose, and during the years I wrote them it was becoming clear that we were changing Earth's climate by accident, and were going to soon be in a situation where we had to "terraform Earth" to keep it livable. I wanted to write about that because I felt that science fiction should pay attention to what's really happening when creating its speculative futures. Otherwise, as Toby noted, we are dodging the elephant in the room that everyone else can see: which wouldn't be a very robust science fiction. Not that all science fiction should be about global warming, but a good percentage of near future science fiction should include it. When I was in Antarctica in 1995 many of the scientists there were talking about climate change as already happening, but I couldn't find a way to tell the story (two degrees' rise in two hundred years?) until the Greenland ice core studies just after 2000 introduced the idea of "abrupt climate change" to explain the startling finding that the northern hemisphere's climate had changed radically in just three years, at the start of the Younger Dryas. That concept gave me a narrative situation I thought a novel could handle, and inspired my Science In the Capital trilogy. So, yes, it was a deliberately activist choice, in the case of those particular books, and they are indeed about climate change in a direct sense. Vandana Singh: I have to admit that while I've been concerned about climate change for many years, I have only written two short stories about it: one called "Indra's Web" that just came out in MIT's new anthology TR:SF and another, older story, "The Question," for a teen anthology published in India a few years ago. I think this is partly because I spend a lot of my time teaching it at the state university where I work, and finding ways to communicate the complexity and the urgency to students. But ultimately I think it is fiction in various forms that is going to turn things around in terms of changing public perception, hopefully before it is entirely too late: a sort of marriage of art and activism. A best-selling brilliant novel or two, a Bollywood blockbuster movie . . . I am very interested in considering how one might write about a problem that is so complex and enormous, with so many uncertainties, in which the solutions will come not from one conquering hero but from a lot of people working together. Growing up in India I was always very interested in environmental issues, including activism, so climate change is certain to figure in subsequent fiction I write. Julie Bertagna: I was in a cafe reading a newspaper when I saw an SOS from the other side of the world. It was from the Kiribati islanders in the South Pacific, at the mercy of rising seas. The news story was only a snippet, hidden away on page 22—back then, in 2000, climate change and global warming were not headline news and my understanding was basic, as was the case for most people at that time. So I began to research the issue and found out what I could about Kiribati. All the time, the question that kept haunting me was—what if this happened to us? Then it would be front page news, hysteria, mass evacuation; but the plight of these islanders was being largely ignored. Kiribati became my inspiration for a Young Adult novel about a flooded world of the future, where my young heroine was a girl from a drowning Scottish island and my young hero was from a towering 'sky city' built on the drowned ruins of Glasgow, where I live. The more I found out about climate change, the more I saw that this could be the issue of the future for the next generation, and I wanted to write a big, gripping story that would leave young readers asking questions. There was a feeling that the book could have limited appeal because I'd set it in Scotland and I was writing about a far-fetched, futuristic scenario—barely any YA science fiction or "dystopia," the current big trend, was being published. Then just as Exodus, the first book of my trilogy, was published, there was mass flooding in the UK, Europe, and Asia, and many other extreme weather events all across the world affecting millions. Suddenly climate change was global headline news. Exodus sold all around the world and I had a huge response from readers of all ages. The U.S. was a notable exception. No publishers wanted it there—until Hurricane Katrina hit. Having made the decision, how did you go about writing climate change? In particular, how did you go about bringing something as large and long-term as climate change down to a human scale? What other challenges do you think the topic can entail? What can fiction bring to the discourse about a subject like climate change? Maggie Gee: What can fiction "bring to the discourse"? It can speak to the heart and the imagination—it can seduce and be playful and appeal to the pleasure instinct, and to sorrow—whereas journalism and political rhetoric often can't help telling people what to think—whereupon, naturally, they resist. As for "bringing something large and long-term . . . down to a human scale"—that is just the way novelists think. It's instinctive. Basically both levels, micro- and macro-, have to work together from the start. It's not that you start with giant block A—climate change—and try to break it down into little parcels B—human beings. The human actors are always there, they just become more brightly detailed as the game progresses. And the challenges? Not to be boring or worthy. But even if you're not, the critics have their own preconceptions and may think you are. Joan Slonczewski: Fiction brings climate change home to your own doorstep. Fiction takes our daily denials to a new place, where we can see the absurd for what it is. For instance, in The Highest Frontier, the evangelical religionists build space stations to "preserve the faithful" from the next flood. This becomes absurd when you see how few people can get "saved." But it's no more absurd than today's climate change deniers, whose policy amounts to the same thing. Tobias Buckell: I think a lot of SF trained me to focus on humanizing big or epic ideas. The fun in SF is exploring how you bring something like, say, first contact with an alien race, to a human and individual level. You look for a character that would be able to thread their way through a situation. You look for how it will overturn their assumptions, or turn their lives upside down. The main worry is to avoid boring the reader. There's a lot of information, a lot of big ideas one wants to toy with. But readers didn't sign up for an essay or a textbook. First and foremost they want characters to empathize with and root for. Situations that they will remember. Kim Stanley Robinson: I decided to try to dramatize an "abrupt climate change," in this case the stalling of the Gulf Stream and resulting climate disruptions, including extra cold winters in Europe and the eastern half of North America. It struck me that this would give me the opportunity to portray extreme weather events that were clearly tied to climate change, and show what the impacts would be and how we might deal with them; also, how some of these effects we will have no way to deal with. I centered my group of characters in the U.S. National Science Foundation, because I knew the agency a bit, and felt that it could serve as a kind of physical and human expression of "science" as well as government, and how the two intersect and work together or against each other. It seemed like a chance to write about scientists, and laws, and institutions, in ways that novels normally operate. I think fiction, and science fiction in particular, can present detailed scenarios for our contemplation, so that we might learn something in advance of events that we might later put to use. Perhaps be less surprised when new things happen. Glenda Larke: Because I write fantasy, I chose to deal not so much with the causes of climate change, but rather with the consequences after the change has already occurred. Sure, there's magic, rather than science, but the story deals with what occurs when water is scarce, and how a society is impacted by the scarcity—physically, politically, economically, socially. Everything in the Stormlord world revolves around water: your wealth, your position, your power, your privilege, all determined by whether you control water resources—or not. It is the result of climate change, and it's the cause of war, of poverty, of revolt. Worse, there are no easy solutions. The damage has already been done. By reducing these huge problems down to the effect on families, on characters from all societal strata, I hoped to make the idea of climate change less academic and more something that can be seen to have an impact on people's lives. Vandana Singh: My own small attempts to write about climate change take inspiration from the butterfly effect. The climactic system is a complex system, which means that small changes in certain key parameters can have large effects. This is scary. But it is also true that human society is a complex system. If small actions by groups or individuals have the potential to tip society in the direction of more responsible environmental behavior, then there is some hope. So for instance my story for kids about climate change has to do with one girl watching a forest being cleared for a coal-mining operation in the heart of India. Coal-fired power plants are the major single contributor to carbon dioxide pollution, and this kid has to decide whether and how to take action. At the end the incident becomes bigger than she could have imagined. My story "Indra's Web" in TR:SF is about an experimental city and its energy system apparently crashing. We are individuals but we are also part of networks, and perhaps therein lies our hope. I really loved Stan's Science in the Capital series, partly because we saw such moving glimpses of people—scientists!—being so incredibly human, where on the one hand they are worrying about kids and dinner, and on the other hand they are worrying about great, cataclysmic events. I've been there, it was so familiar. The characters are beautifully drawn, and the secondary characters too, like the ones who live a feral existence off the social grid. I contrast this with Ian MacEwan's Solar, which was a real disappointment—I had a hard time finishing the book. I expected some deep insights into both human nature and the climate crisis but instead got an inside view of a thoroughly repellent character who felt peripheral to me despite being the protagonist. So one can look at climate change in fiction from a microcosmic perspective in which you get a sense of the large from the small, but I would argue that climate change also calls for epic stories, spanning generations and ages, complete with melodramas of the human and natural variety. Here I can imagine how small lives and effects could be interwoven into the larger narratives and influence the larger narratives. The great epic Mahabharata, for instance, is a huge saga with hundreds of smaller stories interspersed with the larger one. There are cosmic and local implications of great events, and small events ending up to be of enormous significance. I would love to see something like this in SF literature. Even better, I would love to be able to write it, in the purely hypothetical scenario where I'd have enough time. What can good fiction do to an issue like climate change? First I would agree that good fiction does not preach or propagandize, it explores. It is art that drives good fiction, although inevitably what matters to the author will end up in the story. I am hoping that if we have a critical mass of good fiction about climate change (and a few good movies including some Bollywood dramas with lots of singing and dancing) it will a) bring awareness to large numbers of people, b) get them actually talking about it and taking the issue seriously, c) remove the dangerous confusions sown by climate change deniers, and perhaps even d) spark off a mass movement. Call me foolish and naïve for hoping, but I come from the land of counter-intuitive ideas, some of which have worked. Kim Stanley Robinson: I like Vandana's vision of a climate change Mahabharata which would weave many story strands into a long history. I've sometimes thought science fiction taken as a whole works somewhat like that, with all the individual works coalescing into a thing like a wiki. But thinking of it as a vast epic is better. 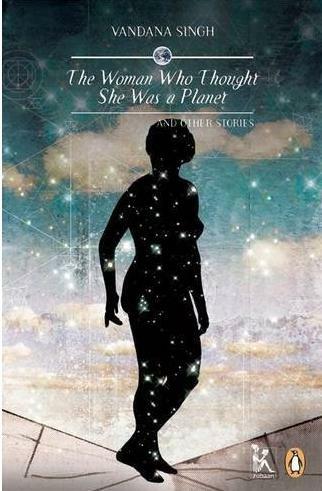 Vandana has summed up beautifully what I wanted to create: "Epic stories spanning generations and ages, complete with melodramas of the human and natural variety." The stories of the young characters in my books are part of an over-arching epic where the Earth has, like Mary Shelley's abused monster, turned against humanity. I imagined the planet almost as a savage, monstrous, ancient god, playing havoc with human lives. In order to survive, my young characters must be brave, creative and ingenious like the heroes of the old epics. But I also wanted my human characters to be just that, and to have what Philip Pullman calls "psychological realism." I wanted a complex world full of moral ambiguities. For example, the empire of global sky cities shuts out desperate flood refugees yet saved the lives of millions who live in ingenious "green" towers, based on current developments in "grunge" bio-architecture. How do we judge that? I wanted readers to live inside the stories of the characters, to be faced with gripping questions, to explore the power of the individual to influence the future—and to ask themselves: what kind of world do I want? What has the response been to your writing about climate change? Maggie alluded to the fact that critics (and other readers) bring their own preconceptions to a text; have you noticed changes in how your work has been received over time, or differences between countries? Have you been seen as, or are you concerned about being seen as, "political," or "didactic," and if so why (or why not)? Joan Slonczewski: Response to my work has been overwhelmingly positive (see reviews at my blog, Ultraphyte). I'm amazed by the enthusiastic reviews I've received, from long-time SF readers, Alan Cheuse at NPR, and teen blogs (the protagonist is a college student). I'm impressed at how much challenging science readers are willing to read in fiction. Glenda Larke: Some (many?) readers read fantasy fiction to escape problems of today's world, not to be hit over the head with them. When there are huge problems, they prefer protagonists who can find solutions. That does not imply, by any means, that they want dumbed-down stories; quite the contrary. Fantasy readers are some of the most intelligent, discerning readers out there. So writing for fantasy readers is a matter of balance: of supplying the suspense and the intensity of large problems, but also showing that ingenuity, courage, intelligence and/or heroism can overcome the direst of situations. It is the literature of hope. I've had readers criticise some of my earlier work as being a bit heavy on the didactic. I think—hope—I have conquered that problem in the Stormlord trilogy. You can't please everybody, though. One reviewer wrote: "I just couldn't buy an entire civilization that refused to seek out new horizons, explore beyond the status quo of barely enough water to survive in a desert, enabling themselves like addicts completely dependent on their next fix of water from their stormlord." I certainly did a poor job of convincing him that not having enough water limits one's options! Tobias Buckell: I'm not worried. I can see why some writers might flinch. When I first started selling short stories I didn't get much pushback, other than comments focused more on a story's pacing or believability. When my novels came out I was writing books that featured ethnic minorities as main characters, and had casts of characters that were extremely diverse. I hadn't anticipated that, while I wasn't preaching anything, that alone was a huge political statement for many readers. I would get angry letters that stated all manner of outright racist or near-racist things. I particularly got a lot of people who would accuse me of 'multiculturalism' and lecture me about falling for it. I occasionally would get kind-sounding emails explaining to me how many more books I would sell if I would stop doing that. So having stepped in it without meaning too, I've become less worried about people getting upset and more interested on playing out the after affects of a big 'what if' question. I'm happy to explore the effects of global warming in my fiction. Scientists are pretty much united in their worry that it's happening. We're seeing definite signs and markers everywhere. Ignoring it is sort of like sticking our fingers in our ears and yelling "la la la." Of course, I get letters upset from the other side as well. Because I posit that it's a complex question, that humanity moves on through the problems and is good at surviving, the assumption is that I'm somehow cheapening the horrors. That I don't think it's a big enough deal and haven't shown horrific enough horrors to scare everyone. I tend to knee-jerk away from hair-shirt environmentalism as well. So sometimes it feels like you can't please everyone. So yeah, you sometimes get the hate mail. It comes with the territory. You also get a lot of very excited mail that you're playing in a thought-space that's wide open right now. The positives have far exceeded the negatives, and I've had a great deal of fun. Glenda Larke: Toby, that's fascinating for me to hear, because I have always had mixed race societies in my books (and in all but one, main characters have been brown-skinned as my personal tribute to my Malaysian husband and children), and I have never had anyone make a racist remark. Ever. I wonder if it is because I make no attempt to set any of my works on a planet which is recognizably Earth? Tobias Buckell: I think so, because I mainly write science fiction. There is a strong rejection of my future-casting. Climate change deniers are never going to love us: so what? But I do think that loud signifiers like "climate change" or "politics" may drown out quieter ones, like "literary" or "funny," a price we must be prepared to pay. Glenda Larke: Thinking some more, I wonder: do my environmental/climate change elements lose impact because my story is not firmly anchored in a our own world? I hope not. However, it is possible. Locating the problem of humankind's impact in an imaginary place is certainly less confrontational. My characters can't point a finger at American consumerism, or Australian coal or Chinese pollution, and perhaps that not only means less confrontation, but also less impact, and less reason to think about the didactic. Joan Slonczewski: I think the question of "impact" of a different world versus Earth-related is a very interesting one. It really depends on the work. I think my book A Door into Ocean had a deep impact on readers because the imagined planet made it possible to dramatize the environmental impacts on the ocean in a new way that people didn't hear in the news all the time. On the other hand, The Highest Frontier inspired emails from readers who were upset about the fate of their own locale, such as New York or Florida—and I think these particular readers wouldn't "get it" that an imaginary planet was relevant to them. So that is the advantage of an Earth-centered book. Vandana Singh: I agree this is a fascinating question. As a reader I am drawn to either scenario depending on the writing and the characters and the story. But I have also come across readers who are challenged by settings that are too different, or bored by settings that are too familiar. For me A Door Into Ocean worked really beautifully partly because it felt so real, with all the biological details, and the resemblance between the dilemmas and confrontations here on Earth and those in the story. At the same time it was fascinatingly different. I haven't read The Highest Frontier yet but I've also greatly enjoyed close-to-the-ground, on-Earth stories (Pacific Edge comes to mind). Reading everyone's responses, however, reminds me how much more reading I need to do (a pleasurable task). I can't answer the original question yet with respect to my own work, since I've not yet written much on climate change. But I do think the situation is politicized to an absurd degree in the U.S. When I teach the subject in my physics courses, there are always a few students who either believe that climate change is not real or have heard from other people that scientists disagree on it. It does not seem to be discussed openly in the U.S. as far as I can tell. My deep suspicion is that climate change and what we need to do in order to mitigate it challenges some ideas such as capitalism that Americans—or at least the powers that be in America—cannot deal with. It challenges some very fundamental and deeply held views about how to live your life, and of course it challenges those who have caused the crisis—the fossil fuel industry, a very powerful lobby indeed—reported by the Union of Concerned Scientists to have funded climate denialists to spread confusion in ways rather reminiscent of Big Tobacco in years back. In India there seems to be a sense that climate change should be taken seriously, but most people don't know how serious it is. Some people seem to believe that taking action on climate change is a Western conspiracy to prevent India from developing. The implicit assumption that there can only be one model of development, the Western one, reveals a staggering lack of imagination. I think it is hard to write about climate change not just because it is political but because people don't understand how to think about complex systems. They want the one lone hero, the right answer, the one correct solution. But real-world problems are messy, complicated, and the solutions often involve the participation of many people, most of whom are unimportant in the Hollywood sense. It would be very interesting to see that in fiction. I would think taking this really seriously might radically alter the structure of a novel or a short story, perhaps something new would emerge. Just speculating . . .
Glenda Larke: Which is exactly why I found it a difficult problem to deal with when writing fantasy. I half-solved it by having multiple heroes provide multiple answers, and by cooperating to deal with the results of water shortages (which is how climate change mostly presented itself in my world). However, they never managed to solve the problem of unreliable rain permanently . For astute readers, there was the obvious corollary that it could all happen again in the future, if the right heroes were not around . . . I guess what I wanted most readers to take away from the trilogy was how water is such a precious resource and we are so few steps away from disaster (in social ways, in humanitarian disaster, but also militarily) when we ignore that. Julie Bertagna: When the first book of my trilogy was published ten years ago, the widespread response was emphatically positive, with lots of shortlists and awards and global sales—a notable exception was the U.S. Reviewers and readers praised it as an exciting and thought-provoking story which did not preach. So a batch of sneering reviews when it was finally published in the U.S. came as a shock. What lay behind the snarkiness was the accusation that I was "preaching the false gospel of climate change" to vulnerable young minds—a stark contrast to all the other views. I think fiction is most powerful when you tell a strong story and leave the reader enough space to think for themselves and that's what I'd striven to do; plus the feedback from masses of young readers was that these books left them thinking about the world in a new way—though one school librarian in the U.S. emailed to say a pupil had hurled the book in disgust when he found out it was a story about climate change, and what did I think I was doing writing such harmful nonsense? I tried to rationalise it all. My editor had argued strongly that the subject required some explanation for young readers back in 2002. Somewhat reluctantly I had threaded that in via my characters, as subtly as I could, determined to avoid the pitfalls of clunky info-dumps. Perhaps the ultra-sensitive U.S. reviewers (wilfully) misread that as banging a drum. The first two books of the trilogy benefitted from a window of time when climate change suddenly became a big global issue. Now that the trilogy is completed with Aurora, there is some sense of that window being slammed shut against writers who are perceived to be "promoting," preaching, or politicising the issues, especially to the young. I'm very struck by Maggie's comment that "even if you're not, the critics have their own preconceptions and may think you are." Tobias Buckell: Sure, and I've heard from some authors that is why they've kept away from this topic, the fear that no matter how they try to engage with it, a certain sort of reviewer will react culturally, and not fairly. A sort of "chilling effect" if you were. And that's a shame, but there you go. While I'm fully expecting some of that, most of my early reviews have been pretty even handed, even by those who sitting on the other side of the equation who take the time to point out that they're a hostile audience from the get go, which I think is responsible. Maggie Gee: It surely has to be true, I take it as a given, that as Vandana suggests, the idea of climate change—or of any other possible major negative environmental consequence of human behaviour—is interpreted by hungry entrepreneurs and their political minions as a challenge to capitalist freedoms, in other words the freedoms of the few. But most literary critics seem to come from the left liberal consensus—sorry, that's lazy, let's say maybe 80% of them in the UK. I think the problem can be more to do with the idea that all political energy/ political debate makes novels less, as fiction: which comes from modernism, as I said. Also there is perhaps still a kind of prejudice that politically vocal women are "strident." I am much more directly political outside my fiction, but there may be some leakage in the minds of a few male critics. On the whole those who actually review my books don't make these criticisms—in fact I can't remember any of my books being criticised as "too political," at least since The Burning Book, which was only my second novel, and an anti-nuclear one. I am thinking more generally, of a prejudice I perceive to be felt against/about me by a small number of people in the literary world who most probably have not read my books, and have no idea that they are pretty nuanced, and not susceptible to party political/activist readings. This is a small cross to bear, I would add—I write what I want, which is a fantastic freedom,—enjoy another great freedom, viz I get published—and must not expect to be loved for it. Kim Stanley Robinson: Reviews of my climate change trilogy were mostly positive and respectful, sometimes even enthusiastic. In the science fiction community the trilogy tended to be read as an updated example of the planetary disaster novel. Reviewers from outside the genre saw it more as a novel about scientists, or a very slow thriller, or a domestic comedy; it was hard to get a fix on it, and I think that made it seem less didactic that it might have. People who didn't read it have a much clearer idea what it was. It may also be that now that climate change seems likely to happen, writing about it brings into play a much older genre, prophecy. People feel an urge to listen to their prophets and then throw them off a cliff. This is the proper response in that genre, like groaning at puns. So when there have been some snippy comments, to the effect that I am too dark, too utopian, too predictable, or whatever, I try to understand them and move on. Vandana Singh: I don't believe in art for art's sake either; I don't know how you can do art and not be political in some way or other, and some ways are more overt than others. My muse tends to shut down if I dictate to my characters or try to manipulate the setting and events to a particular purpose, but whatever I feel strongly about will always emerge from my writing. 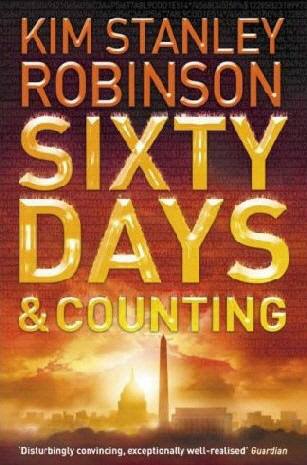 I agree that political novels should and can be beautiful. I think it is very unfortunate that Julie's novels have provoked some antagonism in the U.S., and I think this shows the power and the success of the fossil fuel industry's propaganda. Consider this quote from an article in the LA Times: "Texas and Louisiana have introduced education standards that require educators to teach climate change denial as a valid scientific position. South Dakota and Utah passed resolutions denying climate change. Tennessee and Oklahoma also have introduced legislation to give climate change skeptics a place in the classroom." If that isn't scary, I don't know what is. I also wonder whether some of the disbelief around the subject of climate change in the U.S. comes from a certain first-world lack of understanding of how difficult things already are around the world. Glenda's comments about water shortage brought me back to growing up in Delhi, where the water supply, depending on your neighborhood, was (and is) limited to a short time in the morning and evening. Our lives revolved around the water timetable. It is hard to imagine such a thing in a place like the U.S. where you can take so much for granted because you are insulated from the real cost of all the affluence. Given the degree of resistance and the consequences of inaction, I think it is increasingly important to write about climate change as passionately and creatively as we know how. Rather like defending evolution from the creationists, but with much higher stakes. I take seriously the notion that whether we write fantasy or SF our best works are about telling the truth, however slant, and no truth needs more urgent a telling.